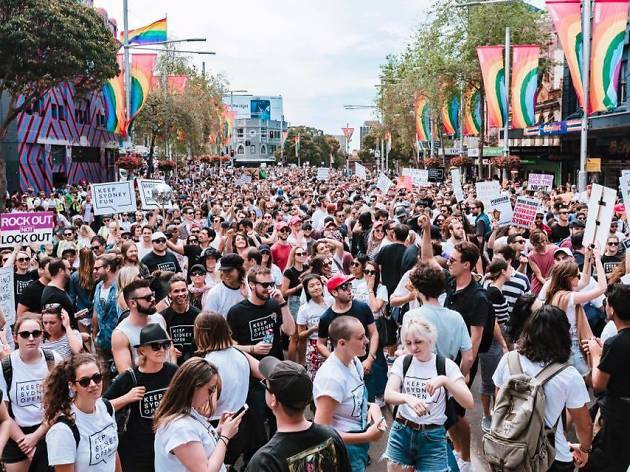 A few months ago the Keep Sydney Open team took over Kings Cross, reigniting the spirit of the precinct with DJs and live music, like the good ol’ days. However the Cross wasn’t the only victim of the state’s lockout laws – Darlinghurst venues have suffered a blow, reportedly taking a 33 per cent hit in their profits since the law changed – and so the KSO crew are planning a neighbourhood festival of music, food and dance on Saturday October 21. Oxford Art Factory​, the Cliff Dive​, Harpoon Harry​, the Colombian​, the Oxford Hotel​, Brighton Up Bar​, Oxford Circus​, Low 302​, Shady Pines​, Flinders Hotel​, Golden Age Cinema & Bar​, Hotel Hollywood​, the Unicorn, Stonewall and more venues will be taking part in the ticketed night of special guest party starters. 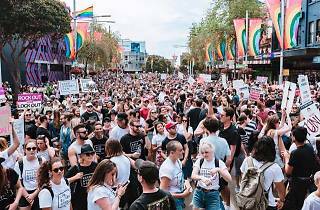 In addition to the ticketed events, there’ll be a series of free activations on Oxford Street to bring back the vibrancy to one of the city’s main party strips. It all kicks off at 3pm and runs until 3.30am. Buy a ticket and move between the restaurants, shops and markets till the early hours.